Sterling Maintenance offers flexible schedules, be it daily, weekly, or monthly and we work with facility managers to ensure cleaning requirements are met and total satisfaction is achieved. Let us tour your facility and and put together a cleaning proposal suiting your needs and budget. • Provides your facility with a regular and consistant site service to deal with the soils and prevent them from accumulating. • Removes spilled materials so the effect is contained and eliminated in a timely manner. • Addresses the conditions that exist in your particular facility so we can best tailor our cleaning techniques to your custom needs. RESULT: Your carpet will have a “level appearance” and remain in a healthy condition consistently. This eliminates the need for more aggressive corrective cleaning procedures and their associated costs sometime in the future. Sterling Maintenance Systems has provided professional janitorial services for the Bucks County, Montgomery County and Philadelphia areas since 1976. We cator to the needs of ourclients whether they are located in large commercial office parks or small hometown offices. We are meticulous in our cleaning procedures and consider Quality and Service as cornerstones for our success.Sterling Maintenance Systems provides a full range of floor care. Stripping and Waxing Floors is only a start. We are the experts when it comes to Resilient Tile Floor Stripping Refinishing. We also offer scouring and sealing of ceramic layings. Cleaning and refinishing hardwood flooring, marble restoration, natural stone cleaning, polishing and refinishing is particularly one of our specialties. 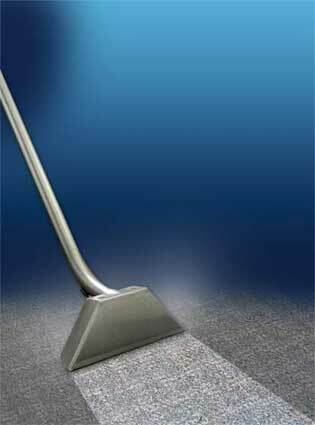 Sterling Maintenance Systems offers commercial carpet and office furniture upholstery cleaning services. We will come to your workplace and give you a professional evaluation concerning what best suits your needs. We can provide you with an estimate for either a one-time aggressive office space cleaning or discuss options that focus on a well thought out carpet and/or upholstery cleaning program. There are many reasons why to consider a Carpet Maintenance Program. Appearance presented to visitors and staff, and the preservation of the investment in your carpets are points to be considered when determining if a Carpet Maintenance Program is worth the money. If soils and spills affectng appearance are not managed properly, then theirproperties will, in fact, shorten the usable life of your carpet. 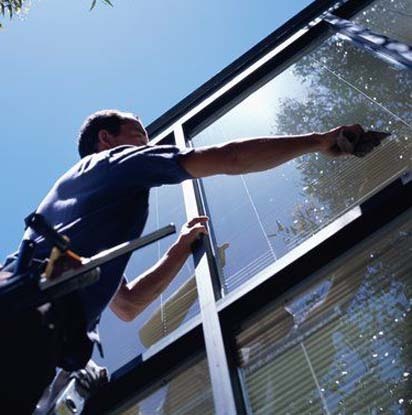 Sterling Maintenance Systems Provides the most professional Window and Blind Cleaning Services Ever! We have the experience, specialized window cleaning equipment and know-how to make your windows sparkle and shine! shelving, and cabinets. Floor waxing, carpet spot removal and/or a full cleaning. Full bathroom and floor tile machine scrubbing (removal excess grout etc.) all fits into our special cleaning routine. When you require an Event Cleaning, both before and after an event occurs, then you can rely on Sterling Maintenance Systems! As an example, be it an Open House, an Important Meeting, an Important Client Visitation, or a Community Service then Sterling Maintenance Systems can be there before the scheduled event takes place - just to make sure everything is perfect, and we will return after everything ends to clean up and get you back to business quickly. Sterling Maintenance Systems offers, at the client's request, environmentally preferable products and techniques to maximize office cleanliness, while at the same time, reducing the negative impact on the environment. 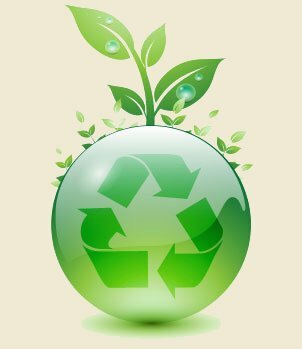 Green cleaning services focuses on improving indoor air quality, reducing exposure to potentially harmful chemicals, and reducing water and air pollution. We provide an agressive cleanup program targeting the surrounding property associated with your building and office spaces. Why not use Sterling Maintenance's talents to display the beauty of your building on the inside and the outside? If the exterior grounds of your building require a nice orderly look on a weekly basis or month by month, then Sterling Maintenance Systems is the company to consider. Sterling Maintenace Systems offers Snow-Plowing services for your office building and surrounding parking-lots. We do this on an as-needed basis, and we also make sure that during winter snowfalls or inclement weather, that sidewalks and steps leading up to your building are ice and snow-free, protecting employees and visitors alike against the hazards of falling and preventing injury.